BhagatSinghaurunkesaathiyoonkdastawez, are real eye opener for all of us. 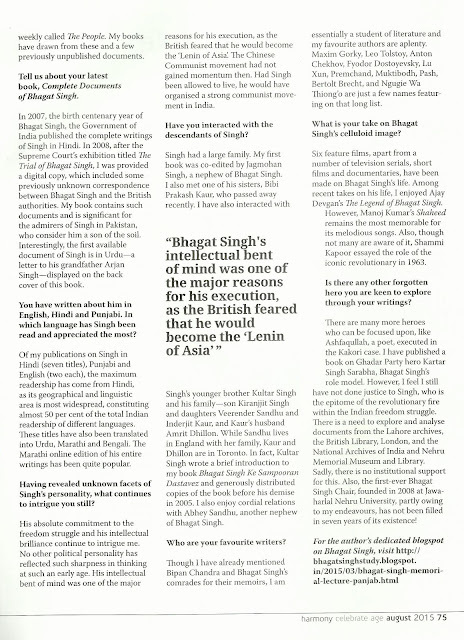 One such example is this piece of interview of Dr. Chaman Lal, its a landmark assessment of Bhagat Singh in recent time.Long Live Revolution! 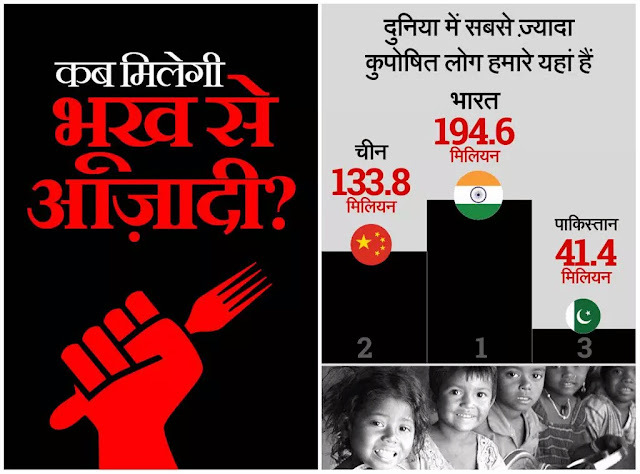 BhagatSingh did not dreamed of India which would be wrecked by hunger, malnutrition, communalism overall unequal status of Indian citizens.This statistics of hunger people would surely had saddened Bhagat Singh but we as nation need to stand against these stigmatized conditions of our countrymen. 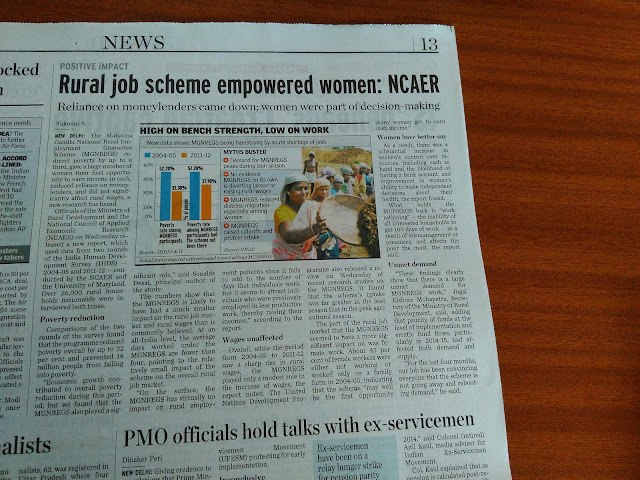 MNREGA in reality is the only scheme in history of India which has empowered women but present Government of India had undermined its efficiency. WomenofruralIndiahavenowabetterpositionthanearlierintermsofmonetaryin dependency. Independentdecisionmakingbywomenhastakenplacerealterms.MNREGAhasstrengthenedthewomencommunity. Just keeping MNREGA on discriminatory political base will not be a fair deal. Mr. Narendra Modi openly had tagged it as a failed scheme of UPA-1 government but analysis of MNREGA should overcome opportunistic political criticism. 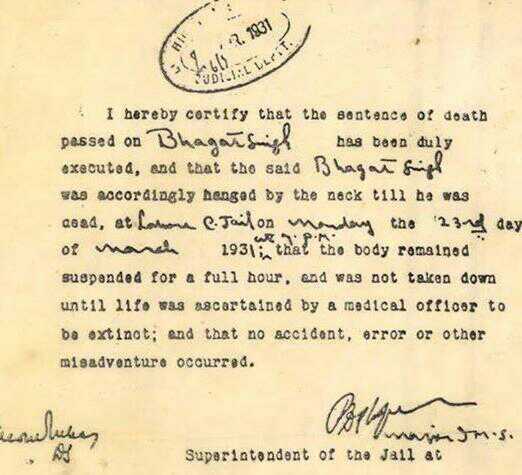 The perception with which Bhagat Singh ended his life is something very reasonable, valid & relevant. A transition from Anti-colonial to Socialism is traceable. Since many years in this country there has been series of efforts to misappropriate, misinterpret, dismantle the real picture of Bhagat Singh as a contributor to India's freedom. 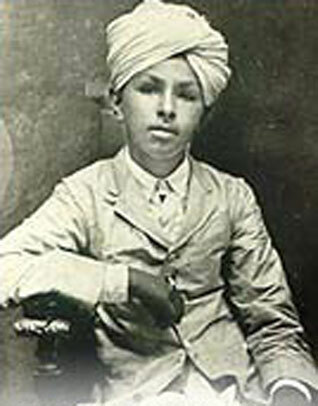 As Revolutionary he is the most unique person to be explored for personal interest.But interestingly in all his lifetime he had only four original photographs at different age. They are as follows-1. 1st picture at age 12 after JallianwalahBagh massacre. 4. 4th picture at age of 20 afterhisfirstarrest. In 1922, when M.K.Gandhi took back non cooperation movement it resulted in rise of many dissent youth voice like B.C.Vohra, Sukhdev, Chandrasekhar Azad & Bhagat Singh. From here Mr. Gandhi's non- violence got competed against revolutionary activities of HRA & later HSRA.Till hanging of Bhagat Singh, Sukhdev & Rajguru, M.K.Gandhi did not confront Bhagat Singh in any manner. 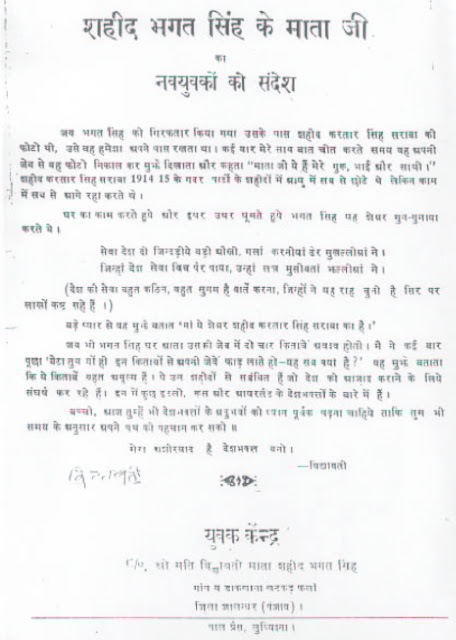 Neither face-off nor any polemic criticism but Sukhdev took an opportunity to critisize Gandhi & wrote a letter to him. 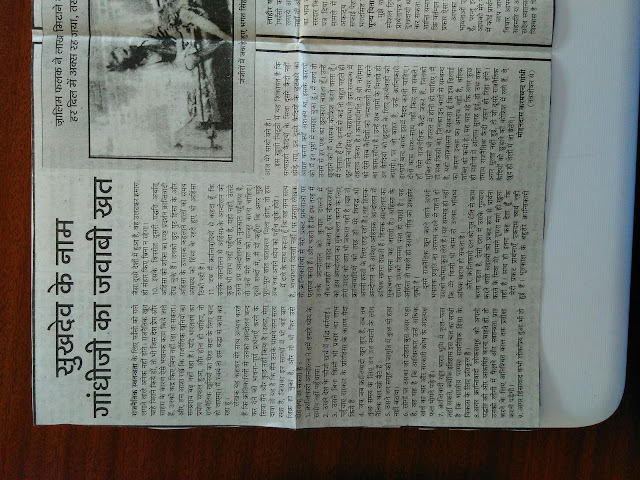 In return to this Mr. Gandhi wrote a letter to Sukhdev which he published in his paper Harijan.Here are two images of letters. First is of Gandhi's reply to Sukhdev & Second is Bhagat Singh's letter to his father. A book edited by Professor Chaman Lal, an authority on Bhagat Singh's life & his activities as a revolutionary. 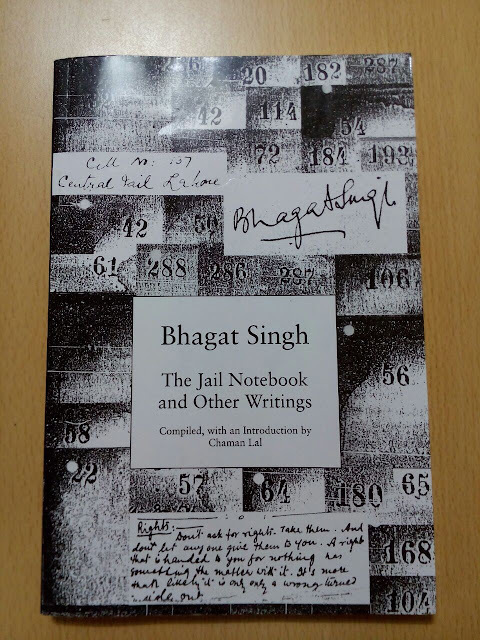 JailnotebookofBhagatSingh is an asset related to Bhagat Singh emphasizing his idea related to Independence of India. 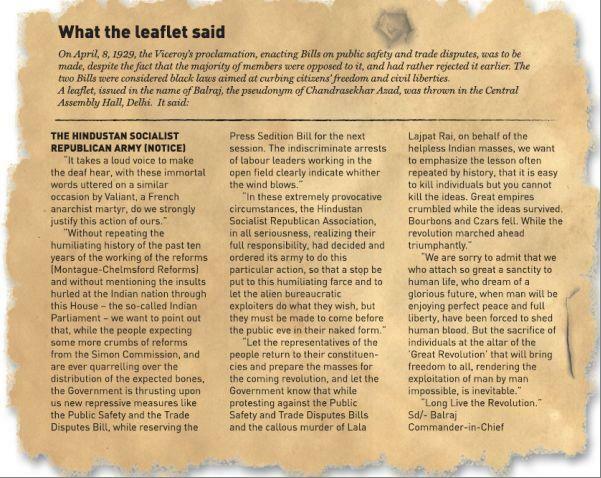 This book is one of the most interesting book covering his all over persona.Second image is a special message which HSRA leaders had send to Soviet Union on Lenin's death anniversary, 21st January. Approximately 300 booksduringimprisonmentof 716 daysfrom 8th April, 1929- 23rd March 1931. Stand against Religious Fundamentalism, a big challenge to Secular values. During 1930's it was said that "If MK Gandhi was Sun of India's political sky, Bhagat Singh was a star which rose out from depth of darkness. "After death his article named Why I am an athiest? became relevant enough to be considered very important. 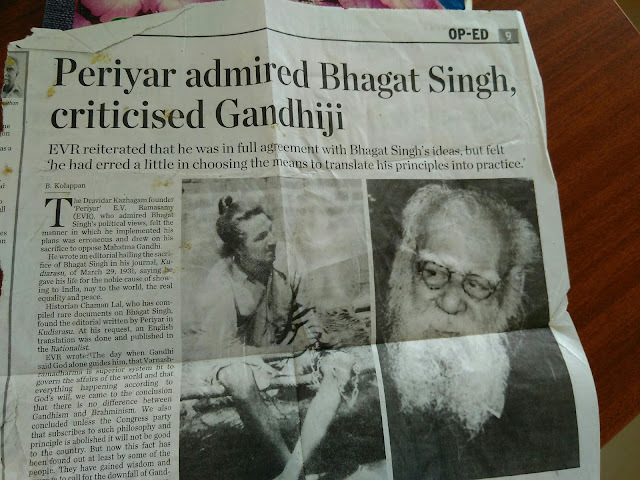 At the same time renowned rationalist leader E.V.Ramasamy Periyar from Tamil Nadu published this article in Tamil & presented his views on comparing Gandhi & Bhagat Singh. Clarity in idea of Bhagat Singh' perception & action was important then & is equally relevant in today's contemporary India. Such an admiration for Bhagat Singh proves his intensity. Mother of Bhagat Singh, Smt. Vidyawati Ji's appeal to youth section of our society proves one thing very clear, that India either colonial or independent, needs involvement of its youth force in decision making and being integral part of Socio-Political sphere. If politics decides our life pattern with roller coaster rides, we must choose our politics. Bhagat Singh stood to build up Society on Socialistic base with universal brotherhood, equality for all rejecting exploitation of man by man and country by country. Since many years this truth is on track to be misappropriated by extream right Hindu fringe elements like Bhagat Singh Kranti Sena. The questionisnottoownBhagatSingh on one'sownsidebuttofacetruthforwhatpurposeBhagatSinghgaveuphislife. WasitforaHinduNation or an Islamic stateor for anEgalitarianIndia? Set of books from Expertized intellectual of this country. Each & Every book highlights every aspect of revolutionary life of Bhagat Singh. 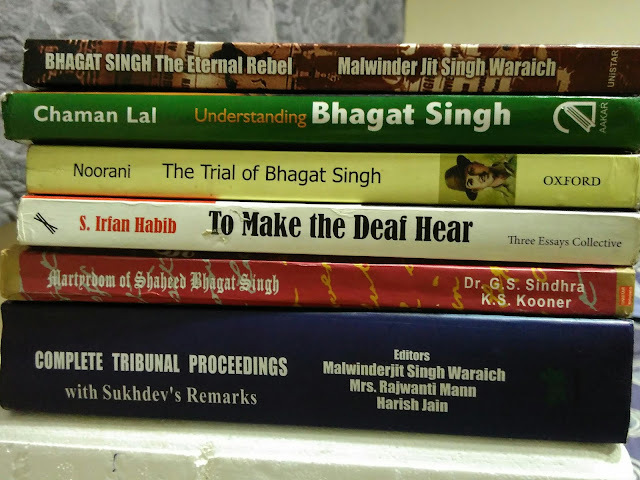 By reading these books idea of Bhagat Singh for Independent India will be known.